For a while there, it was easy to forget that Shin Megami Tensei x Fire Emblem existed. Announced with great fanfare in 2013, we heard very little about the project for two years, until a trailer came along almost to proclaim "Yes, we are still here." Now it's finally being released worldwide as Tokyo Mirage Sessions FE, and while it's not as memorable as a lot of Atlus' other marquee JRPG work, it was worth the wait. You can tell it's an Atlus joint right from the start. 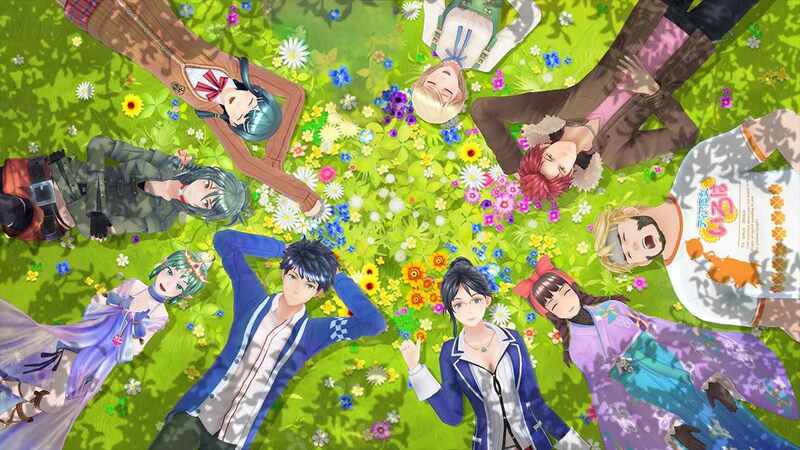 With its bright, bold world to the colorful snazzy menu screens, Tokyo Mirage Sessions FE is a wonderful respite from the drab grimdark focus of so many other developers. That goes double for the lovely anime sequences, as well as the heavy focus on music, since the story revolves around a group of idols with superpowers. It's something you rarely see outside of the occasional RPG like Rhapsody: A Musical Adventure, but Atlus also manages to blend some darker elements in as well. With portals that transport people into another dimension called the Idolsphere, inhabited by terrifying creatures called Mirages, the opening is some real Leftovers rapture type stuff. 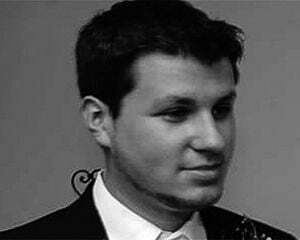 It's not overly dark, mind, but it sets the tone that you're dealing with a formidable force. From there it morphs into a shonen framed around the secret society of Fortuna, and the young Itsuki's quest to set things right. It's easy to predict and very formulaic throughout, but it's equally easy to get invested in. Yes, this is a very Japanese game. It's entirely subtitled with Japanese audio (there's no dub in sight), contains catchy, poppy tracks, and has a huge focus on Tokyo as a city and idol culture. The opening even reminds me of some of the more alienating out-there anime like Utena, and I say that in the most endearing way possible, because I live for this stuff. You, however, might not -- so it's something to be aware of. The only thing I didn't really dig aesthetically is the shaded crowd mechanic, which makes most NPCs look like blobs of color. It's a cool concession that's likely wielded for emotional impact, to invoke a feeling of loneliness of sorts for the protagonists, but most of the time it just feels like a design limitation on Wii U. Despite that, the constant reminder that you're not playing on a cutting-edge console is overshadowed by the gorgeous art. Some zones even remind me of certain scenes in Clockwork Orange, most notably the record store. They have a surreal quality to them, and kudos to the team for creating a world this hypnotizing from scratch, without drawing too heavily on existing franchises. One thing that is formulaic however is the progression system. You have your typical "select your next location from a map" menu, field sequences, story exposition, cutscene, and dungeon loop. While there is never really any hard requirement to grind, the dungeon angle does feel a bit repetitive and tired at points, and many of them blend together in a jarring way. The straightforward, yet often time-wasting light puzzles also aren't a ringing endorsement. Yet, the open-ended nature of the combat mechanics help dig those problems out. With a turn-based tint, players can use a wide variety of support and offensive abilities, as well as take advantage of the Fire Emblem-inspired rock paper scissors system in tandem with the SMT/classic JRPG elemental concepts. Games have done both in the past, though it's not a common occurrence and they gel wonderfully here in Mirage Sessions. As time went on and I had the power to complete meaningful side quests for more skills, craft my own weapons, and develop (albeit rudimentary) social links, the fatigue started to take a backseat (even if it's always in the rear view mirror). 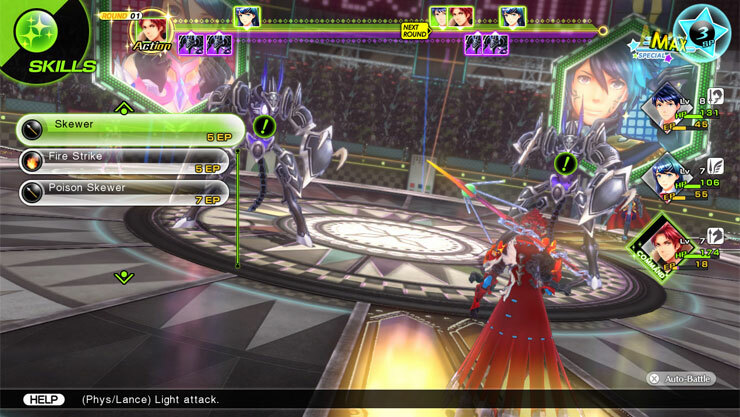 As a note, when combat begins, players will do battle using their acquired friendly Mirage forms with a party of three that can be swapped at any time with no penalty. They're basically Personas (which fit right along with the focus on the parallel universe), they're just based on Fire Emblem characters -- like a ghastly Chrom and an insectoid-looking Shiida. So there's your Fire Emblem. Its relation is tangential to the experience -- this is mostly a Shin Megami Tensei game. All of the ancillary nuts-and-bolts stuff checks out. There's an auto-text forwarding option if you're sick of the dialogue. You can fast-forward and even skip scenes outright. The GamePad and Pro Controller are both supported (the map and in-game SMS messages heavily based on Japan's real LINE app pop up on the former, so it is preferred), though strangely, it's one of the only Wii U games that doesn't support Off-TV play. You can also alter the difficulty setting at any time, which I recommend doing since the normal base is a bit too easy. 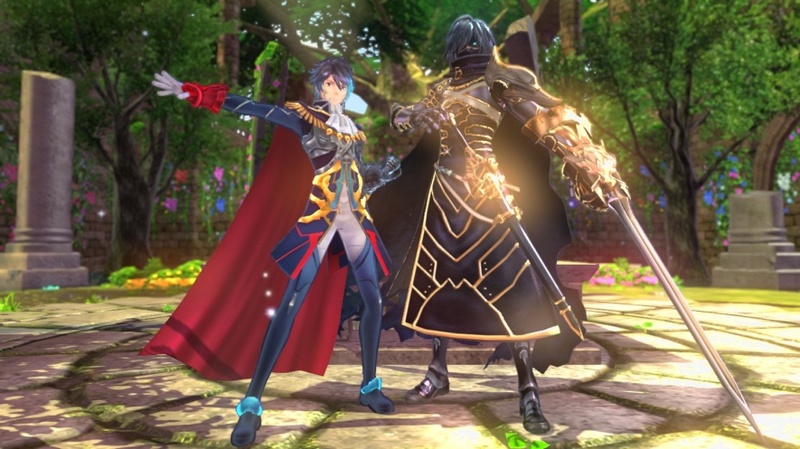 Almost like a diet Persona of sorts, Tokyo Mirage Sessions FE doesn't feel like Atlus took any half-measures, but by that same token, it doesn't do anything spectacular either or expand upon its previous work. While folks probably won't be rushing out to buy a Wii U for it anytime soon, the famed publisher has once again proved that it is at the top of the food chain when it comes to JRPGs.